Advanced chemistry and cutting-edge technology converge at Hikal. Our ecosystem facilitates seamless collaboration amongst employees at all levels across the company. Hikal is a learning experience for new recruits as well as senior professionals. Our culture of continuous learning is nurtured by a Scientific Advisory Board of distinguished Global chemists, which enables you to improve problem solving skills and innovate at a molecular level. More importantly, Hikal empowers and rewards deserving talent. The work environment is underpinned by processes to enhance performance and productivity of the enterprise. At the same time, our policies encourage innovation and individual creativity. We are always looking for professionals across domains and at all levels of management. Do e-mail your Resume at hr@hikal.com. We shall contact you when we have openings in your domain. 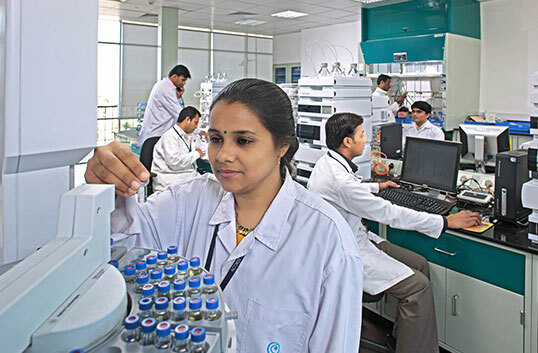 Hikal attracts talent from chemistry, life sciences, pharmaceuticals, biotechnology, and specialty chemicals. Browse through our opportunities listed below to see where you could join us. © 2017. HIKAL Ltd. All rights reserved.